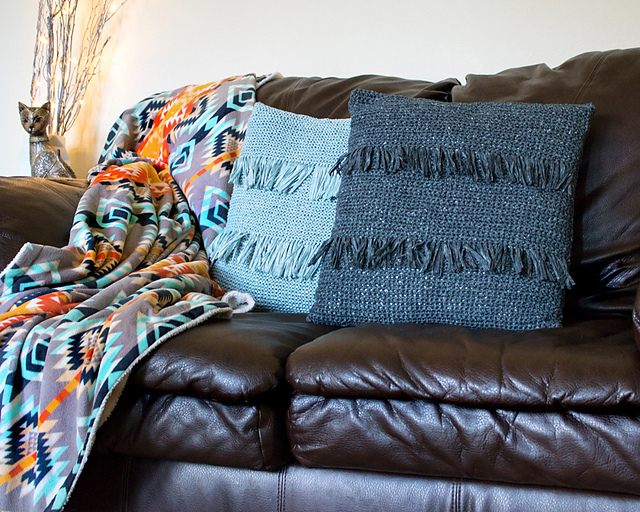 Modern pillows with fringes. They are in tasteful colors. Choose your favorite. It is a very decorative pattern. Looks great in the living room or bedroom. Fits modern, minimalist interiors. Inspire yourself with wonderful and simple patterns. Follow the pattern from the Lion Brand Rewind yarn. It is delicate and pleasant to the touch. It’s a free pattern. In this article, you’ll find a tutorial. 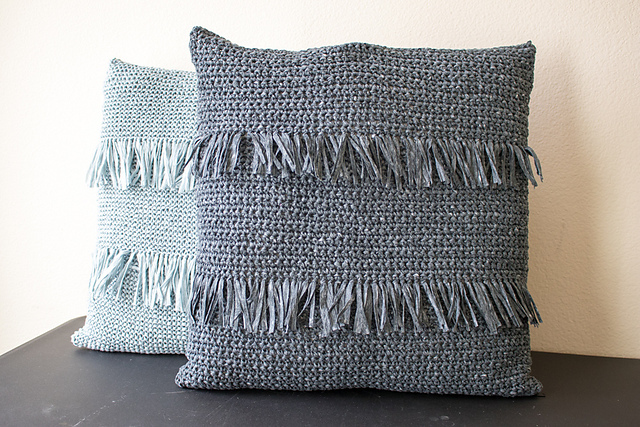 Fringed Throw Pillow Free Crochet Pattern is here.